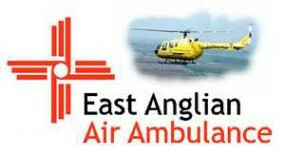 Darren Beat Target For East Anglian Air Ambulance! Darren completed the London Marathon this weekend in a staggering 3 hours, 58 minutes! Not only did he beat this target of running the marathon in under 4 hours, he smashed his target and raised over £3,100 for the East Anglian Air Ambulance. With each life-saving mission costing around £3,500, the Air Ambulance relies on charitable donations to continue their life-saving work. With over 20,000 people being saved since their first flight in 2000, the Air Ambulance are a vital emergency service.